Upfiring is live. 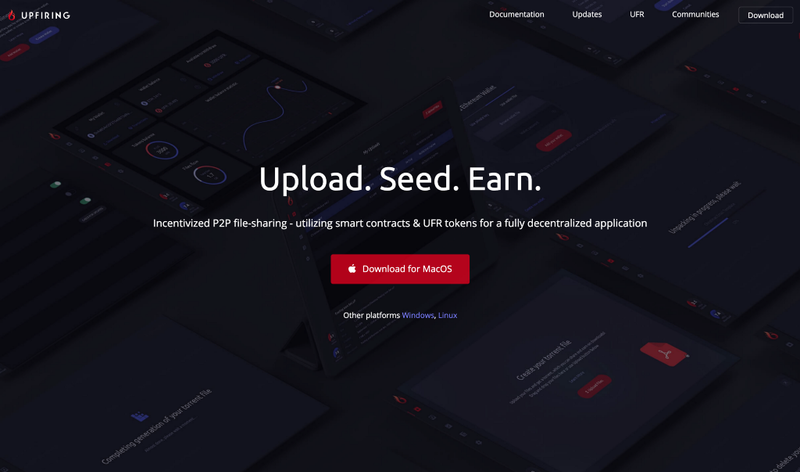 Start seeding, sharing files, and earning UFR. The Upfiring Application just launched, officially! Get it at https://www.upfiring.com to begin uploading files, seeding, and earning UFR. This is just the first step of many in this project’s journey towards an expanded presence in the greater torrenting space and beyond. 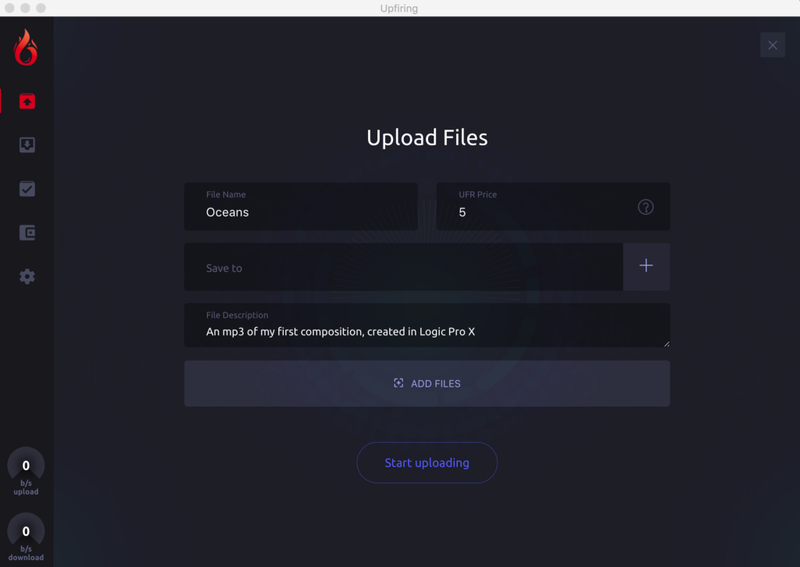 Uploading and seeding files in the Upfiring dapp. Our focus will now shift towards growth and adoption, and we won’t stop until Upfiring becomes a widely-adopted torrenting protocol for seeders and downloaders alike. 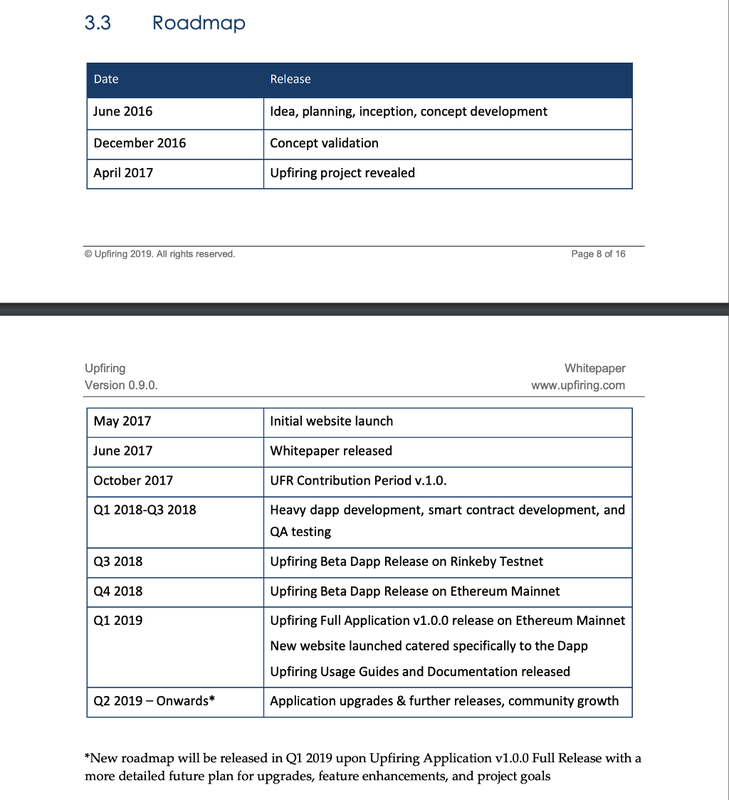 The Upfiring ecosystem is under development, with new community-driven features and sites for sharing Upfiring files being released each week. Be sure you are a part of our Telegram (t.me/Upfiring) and Discord (discord.upfiring.com) groups to join our community and help fuel the growth of the Upfiring protocol. The new Upfiring application-oriented website has launched as well. Upfiring’s new application-oriented website geared towards adoption and growth has been launched. 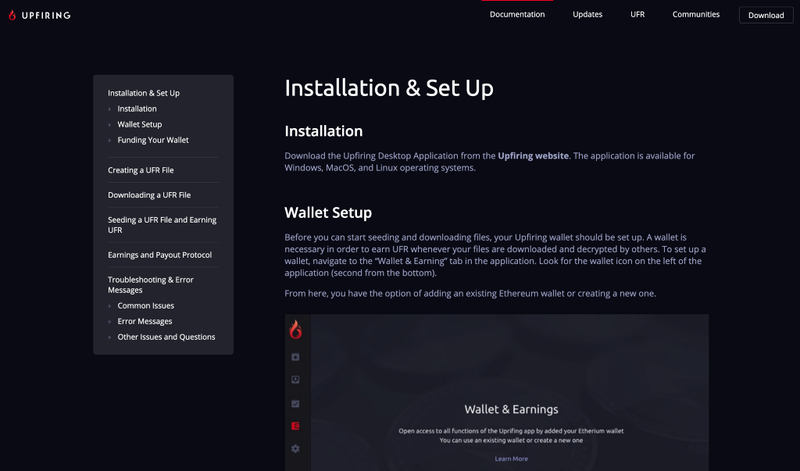 The website makes it simple to download and get started using the Upfiring dapp on any operating system (Windows, MacOS, or Linux). In addition, a detailed documentation section has been published on the website as well. This documentation, while still under construction, will help clear up common questions for new and existing users using the application. It also features an aggregate of FAQs and serves as a collective problem-solving hub for any user experiencing problems. The Documentation section is actively under construction and will be updated frequently with new information as it becomes available. Upfiring is already listed on over 10 exchanges, and can be easily acquired by new users. However, as part of our expansion process, we would like to see Upfiring listed on more mid-size and major exchanges to further improve adoption and UFR liquidity. We have previously held off on applying to most major exchanges until dapp release and now will be actively seeking to list on new exchanges throughout 2019. This goes hand-in-hand with expanding our reach to more potential users and increasing the userbase for the Upfiring ecosystem. As the project grows and develops, UFR may be needed in order to help secure larger exchange listings, partnerships, and continued development of the application. As a result, the circulating supply of UFR will be increased to 21,600,000 UFR (out of 24,000,000 UFR total). This is being done now so that this UFR is readily available over the course of the next several years for any partnerships, exchange listings, or other purposes. The remaining UFR will remain locked. As a result, a new detailed roadmap for 2019-2021, will be published next week in another Medium post. This Medium post will outline the future roadmap and detail our plans for the future of Upfiring and how we plan to capture the larger P2P file-sharing market. 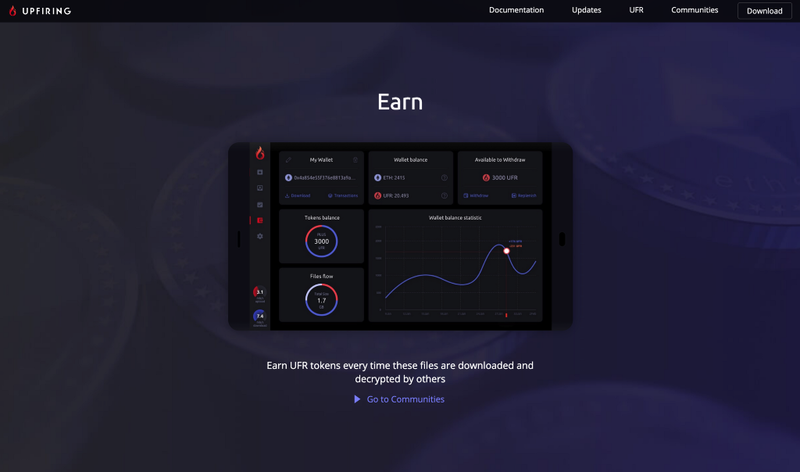 Download Upfiring and start earning UFR for sharing files at https://www.upfiring.com. If you have any further questions about the project, feel free to post on our community pages or send us an email at support@upfiring.com. Come join us over on the official Upfiring Forums, Reddit, Twitter, Bitcointalk, Telegram, and Discord as we continue our mission to change the future of P2P file-sharing. Upfiring’s Official Dapp Release is Live was originally published in Hacker Noon on Medium, where people are continuing the conversation by highlighting and responding to this story.